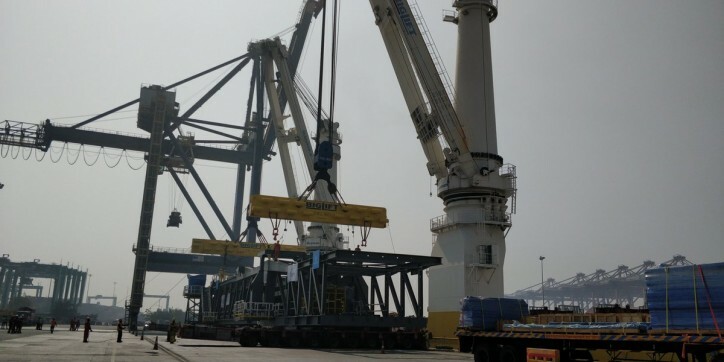 Jawaharlal Nehru Port Trust (JNPT) has successfully carried out the loading of a heavy lift export project cargo. 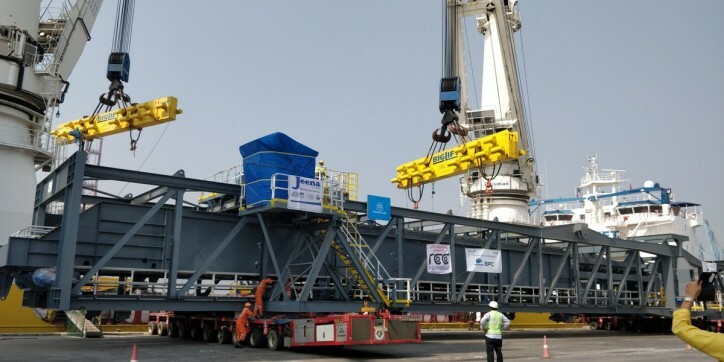 The equipment consisted of sub-assemblies of barge loading machine for mine development and export facilities for Guinea, Africa. JNPT facilitated this loading on the project cargo vessel MV Happy Sky at the shallow water berth of the port under close supervision by the port officers. The loading was completed successfully in 36 hours. 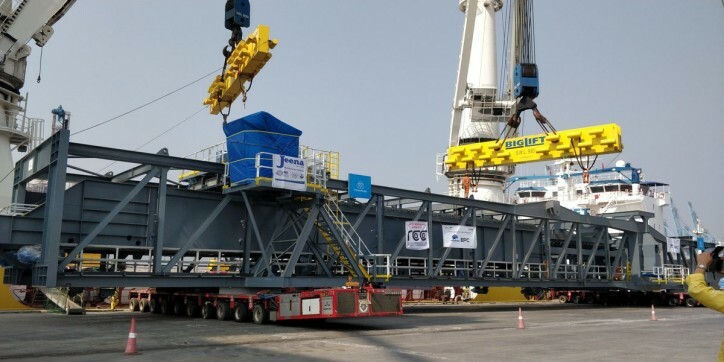 The consignment of 1,115 MT had 132 packages, of which the single heaviest piece (main boom-shuttle boom assembly) had a length of 62 m and weighed 384 tonnes. This whole exercise also showed the support from JNPT towards the ‘Make in India’ initiative, emphasised a release. Commented Mr Sanjay Sethi, IAS, Chairman, JNPT, "The successful loading of such gigantic consignment requires skill and technical acumen which was well displayed by our port professionals. It purely reflects the overall port efficiency and teamwork between all departments in a high pressure situation, because even a small error can lead to colossal damage. I am proud of the team, and the success of such assignments reflects on JNPT as the best container port in India and among the best globally." This consignment was part of an international EPC contract of Shapoorji Pallonji and Co. Pvt. Ltd and J. M. Baxi was the vessel agent. The vessel sailed on January 20, 2019, the release added.